The more I tried to fall in love. And you threw me into the wind. so that nothing remains of what you swore. and I can not forget you. I'm going to walk away and not write you as a loser. I already gave my part and still you will not return. It will be for my sake not to know where you are. 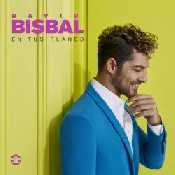 and I can not forget you..
Estamos Escuchando A Partir De Hoy con Sebastián Yatra de David Bisbal con letra en este video de música online con en el video clip con estilo Pop Rock y editado en (2016) e incluido en el disco ''Singles''. El tema "A Partir De Hoy con Sebastián Yatra" es el mas escuchado del CD donde puedes ver su letra y las canciones Top "A Partir De Hoy con Sebastián Yatra" ,"Todo Es Posible " ,"Antes Que No" ,"Sí Pero No" ,.